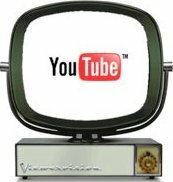 Greg Hooven Archives - ~Tall Tales ~ Have a Greg Hooven story to share? Email it to greghoovenarchives@yahoo.com . Thank you. Karin Morra Magno I have one... I met Greg Hooven down near the stalls at ﻿Galax, probably circa 1989 or so. He didn't have his fiddle in his hand; rather, he had just finished laying out several large, dried tobacco leaves on the hood of a land yacht-style Buick and was displaying his wares to a potential customer. Having grown up in the suburbs of Roanoke County, I knew what it was but had never seen anyone roll up an entire leaf and fire it up. As he took a big pull off the cigarette he'd fashioned, passing it to his new friend, I heard him haggling and singing the praises of the barn from which this batch came. The customer bought all the leaves and went on his way. I guess I was standing there like a deer in the headlights, because Greg came right over and introduced himself to me. Once I told him my name and we exchanged names of mutual acquaintances, he asked if I played. I'd just discovered Old Time music after having come from the 'dark side' of Bluegrass, so I had no idea who this guy was or what talent he possessed. Later in the day I found him in a jam with Nancy Sluys on banjo, Bill Sluys on bass and Rick Davidson on guitar. I'd never heard anything like this music; it moved me in a way I couldn't even name, and I was instantly in love with it. Although I was not schooled in the OT guitar techniques or the music's history, Greg took the time to invite me to walk about with him that festival and play with people I now consider contemporary masters of the genre. Greg was generous with his talent, and if he thought you 'got it', his generosity and willingness to help you grow musically was never ending. ~ Karin Morra Magno One night when I was driving my VW up from New Orleans to Maine I heard in a campground about a festival at Galax Viginia. I headed into town and parked outside the gate. I walked through the rows hearing all kinds of fiddle music. It was nice, but it didn't really move me. I stopped and tried to jam with some folks and they gave me a few beers. So, with a heavy heart and a muddy head I walked towards my car at about 1 am. in the morning thinking I had had enough and would set out to Maine the next morning. Along the rickety walk home I heard a sound. It was a fiddle. I could hear it in the night swooping, darting, crying, laughing. I never heard anything like it before. Being a jazzbo all I could think of was John Coltrane, it was that intense. I weaved through the power lines and RVs and I found a little jam session with just a few candles. That's when I first saw Greg and the moment changed the course of my life. I just couldn't believe the sound and control that this guy had with his phrasing. The only thing I could think of at the time was some kind of bird, like a sparrow, like a master of flight. There was joy, overwhelming joy, and pain, a dark kind of existential pain that we have all felt from time to time. It was complete and it was frighteningly strong. The band did it's best to match his expression but there was only chasing this fiddler. He was so far advanced that no one could really match his bowing arm with their clunky, plucked instruments. No doubt that just trying made everyone a much better musician. His voice was big and warm and again, almost scary in it's expression of loss, or love or life. There is no doubt in my mind that Greg's demons got the best of him but I can understand why someone with that much intensity going on inside him might have trouble in this world. I tend to think the real Greg was what we heard coming out of him and the rest of it was a Greg that had alot of difficulty relating to people, his emotions and even his musical gifts. I would venture to say that he was the best fiddler of our generation right up there with the greats of the past. I'm sorry he couldn't control his energy to get himself right with the world but I don't fault him for it. Galax will never be the same for me. Bless you Greg, heaven just got one hell of a Gabriel. ~ Jason~ ~ Jason Sypher, written just after Greg passed We hit it off like old friends almost from the start of our relationship. To find that we were separate generations of Carroll County boys was profound to us, and we realized we heard old time music in the same part of our being. I loved him like a long-lost younger brother;he used to greet me as "big daddy." What a shame life came to such a sad end for Greg. ~ George Pearis Reynolds ﻿﻿ Greg was the first person I met at my first ﻿Galax Fiddlers' Convention (and 1st fiddlers' convention, period) in 2000; I still had a couple months left in the Army, was burning off some leave time, and had gone to Galax with my fiancee (now wife) Tina (Tina Liza Jones). We hadn't had the campsite set up 2 minutes when Greg pops under the tarp looking to get out of the sun. With Tina backing him on guitar he proceeded to blow my socks off with some Galax-style old-time fiddling. Before they were done, Karin Morra Magno showed up, too. ~ Eric Martin RootPosted on the New River Valley Old Time List Serve on May 13, 2005; the day of Greg's funeral Hello, Old-Time fans,For those of you who couldn't attend Greg Hooven's funeral I wanted to let you know that impromptu Old Time music sprung up at his grave side after the services (with family permission). Thanks to Billy and Betty for the inspiration, and to Beth and Andy for solid backup. Dale Morris singing [the old Carter Family song, God Gave Noah a] Rainbow Signwas the highlight - we know Greg loved that song. What could have been a better send off? I really felt all was right when I heard a fiddle play, dedicated to him. As Betty said, "This one's for you, Greg." And Logan County Blues rails on into the grey day...With a weary sigh,~SandyPosted on the The Mudcat Café TM http://mudcat.org/thread.cfm?threadid=81123 I found out about Greg when I watched Mike Seeger's "Old Time Banjo Styles" video, back in 1998. This video contains two great segments of Greg Hooven playing OT and singing "Sweet Little Julie" in a band, plus an interview with him. - I instantly noted what a great player and singer he was, and what a cool sound his voice had. He sounded cool just talking, let alone singing. Watching him play made me go out and get a fiddle so I could learn to play "Sweet Little Julie" like him in cross-tuning. I definitely recommend this clear, well-recorded video for seeing a bit of Greg the person. ﻿http://www.amazon.com/DVD-Old-Time-Banjo-Styles-Taught-Seeger/dp/B0007LC59Q﻿- A few years later, when I read about the ladder fall, I felt so sorry for him, and wished him well.Thanks for the music and the feel, Greg. You made a lot of people happy.~Dirk Jefferson The late Joe Wilson, at the time the Director of the National Council of Traditional Arts, once asked a 17 year old Greg Hooven why there were so many great musicians that came from the Piper's Gap area of Carroll County. Greg said something like "I think it is because we like music better than football". ~Ralph Berrier, Jr., as written in the Roanoke Times article " Joe describes another Greg Hooven gem in a recent email to George Reynolds. Joe says: "I put a video clip of Greg in our video at the new exhibit, Roots of American Music, at the Blue Ridge Music Center. It is at Milepost 213 on the Parkway, near Galax and Hillsville. It was shot in 1981 by Dale Morris at the Mt. Airy Fiddler's Convention. and he is playing his a** off. He is young, peach fuzz on his face, but it is the great kid you knew. He was at our Lowell, Massachusetts festival with Backstep around 1990, and there is well recorded audio from that event in the NCTA archives...........Thank you for honoring the memory of our wild and wonderful lad, with us just a moment ago, never to be forgotten". ~ The late Joe Wilson, Director of the National Council for the Traditional ArtsThere's gotta' be a story here, Anyone know it? The late, great Johnny Cash and Greg Hooven. Year Unknown, but Greg looks to be around 16. Picture taken at the Carter Fold, Hiltons, VA. ﻿The picture is courtesy of Greg's Dad, Donald Hooven. Please send updates to Karin at greghoovenarchives@yahoo.com. Have a Greg Hooven story to share? Email it to greghoovenarchives@yahoo.com . Thank you. I met Greg Hooven down near the stalls at ﻿Galax, probably circa 1989 or so. He didn't have his fiddle in his hand; rather, he had just finished laying out several large, dried tobacco leaves on the hood of a land yacht-style Buick and was displaying his wares to a potential customer. Having grown up in the suburbs of Roanoke County, I knew what it was but had never seen anyone roll up an entire leaf and fire it up. As he took a big pull off the cigarette he'd fashioned, passing it to his new friend, I heard him haggling and singing the praises of the barn from which this batch came. The customer bought all the leaves and went on his way. I guess I was standing there like a deer in the headlights, because Greg came right over and introduced himself to me. Once I told him my name and we exchanged names of mutual acquaintances, he asked if I played. I'd just discovered Old Time music after having come from the 'dark side' of Bluegrass, so I had no idea who this guy was or what talent he possessed. Later in the day I found him in a jam with Nancy Sluys on banjo, Bill Sluys on bass and Rick Davidson on guitar. I'd never heard anything like this music; it moved me in a way I couldn't even name, and I was instantly in love with it. Although I was not schooled in the OT guitar techniques or the music's history, Greg took the time to invite me to walk about with him that festival and play with people I now consider contemporary masters of the genre. Greg was generous with his talent, and if he thought you 'got it', his generosity and willingness to help you grow musically was never ending. One night when I was driving my VW up from New Orleans to Maine I heard in a campground about a festival at Galax Viginia. I headed into town and parked outside the gate. I walked through the rows hearing all kinds of fiddle music. It was nice, but it didn't really move me. I stopped and tried to jam with some folks and they gave me a few beers. So, with a heavy heart and a muddy head I walked towards my car at about 1 am. in the morning thinking I had had enough and would set out to Maine the next morning. Along the rickety walk home I heard a sound. It was a fiddle. I could hear it in the night swooping, darting, crying, laughing. I never heard anything like it before. Being a jazzbo all I could think of was John Coltrane, it was that intense. I weaved through the power lines and RVs and I found a little jam session with just a few candles. That's when I first saw Greg and the moment changed the course of my life. I just couldn't believe the sound and control that this guy had with his phrasing. The only thing I could think of at the time was some kind of bird, like a sparrow, like a master of flight. There was joy, overwhelming joy, and pain, a dark kind of existential pain that we have all felt from time to time. It was complete and it was frighteningly strong. The band did it's best to match his expression but there was only chasing this fiddler. He was so far advanced that no one could really match his bowing arm with their clunky, plucked instruments. No doubt that just trying made everyone a much better musician. His voice was big and warm and again, almost scary in it's expression of loss, or love or life. There is no doubt in my mind that Greg's demons got the best of him but I can understand why someone with that much intensity going on inside him might have trouble in this world. I tend to think the real Greg was what we heard coming out of him and the rest of it was a Greg that had alot of difficulty relating to people, his emotions and even his musical gifts. I would venture to say that he was the best fiddler of our generation right up there with the greats of the past. I'm sorry he couldn't control his energy to get himself right with the world but I don't fault him for it. Galax will never be the same for me. Bless you Greg, heaven just got one hell of a Gabriel. We hit it off like old friends almost from the start of our relationship. To find that we were separate generations of Carroll County boys was profound to us, and we realized we heard old time music in the same part of our being. I loved him like a long-lost younger brother;he used to greet me as "big daddy." What a shame life came to such a sad end for Greg. 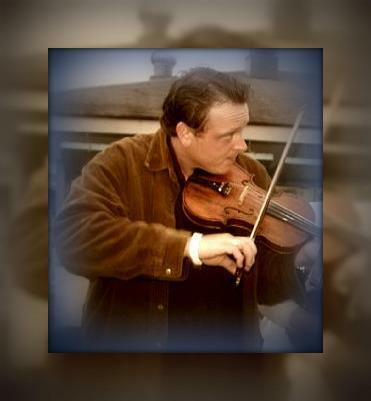 ﻿﻿ Greg was the first person I met at my first ﻿Galax Fiddlers' Convention (and 1st fiddlers' convention, period) in 2000; I still had a couple months left in the Army, was burning off some leave time, and had gone to Galax with my fiancee (now wife) Tina (Tina Liza Jones). We hadn't had the campsite set up 2 minutes when Greg pops under the tarp looking to get out of the sun. With Tina backing him on guitar he proceeded to blow my socks off with some Galax-style old-time fiddling. Before they were done, Karin Morra Magno showed up, too. I found out about Greg when I watched Mike Seeger's "Old Time Banjo Styles" video, back in 1998. This video contains two great segments of Greg Hooven playing OT and singing "Sweet Little Julie" in a band, plus an interview with him. A few years later, when I read about the ladder fall, I felt so sorry for him, and wished him well. Thanks for the music and the feel, Greg. You made a lot of people happy. The late Joe Wilson, at the time the Director of the National Council of Traditional Arts, once asked a 17 year old Greg Hooven why there were so many great musicians that came from the Piper's Gap area of Carroll County. Greg said something like "I think it is because we like music better than football". ~Ralph Berrier, Jr., as written in the Roanoke Times article "
Joe describes another Greg Hooven gem in a recent email to George Reynolds. Joe says: "I put a video clip of Greg in our video at the new exhibit, Roots of American Music, at the Blue Ridge Music Center. It is at Milepost 213 on the Parkway, near Galax and Hillsville. It was shot in 1981 by Dale Morris at the Mt. Airy Fiddler's Convention. and he is playing his a** off. He is young, peach fuzz on his face, but it is the great kid you knew. He was at our Lowell, Massachusetts festival with Backstep around 1990, and there is well recorded audio from that event in the NCTA archives...........Thank you for honoring the memory of our wild and wonderful lad, with us just a moment ago, never to be forgotten". There's gotta' be a story here, Anyone know it? 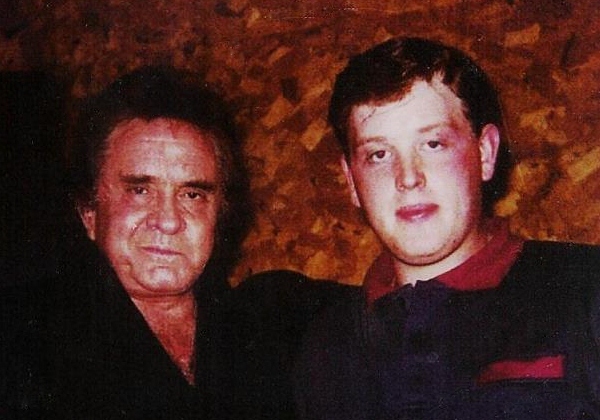 The late, great Johnny Cash and Greg Hooven. Year Unknown, but Greg looks to be around 16. Picture taken at the Carter Fold, Hiltons, VA. ﻿The picture is courtesy of Greg's Dad, Donald Hooven. Please send updates to Karin at greghoovenarchives@yahoo.com.